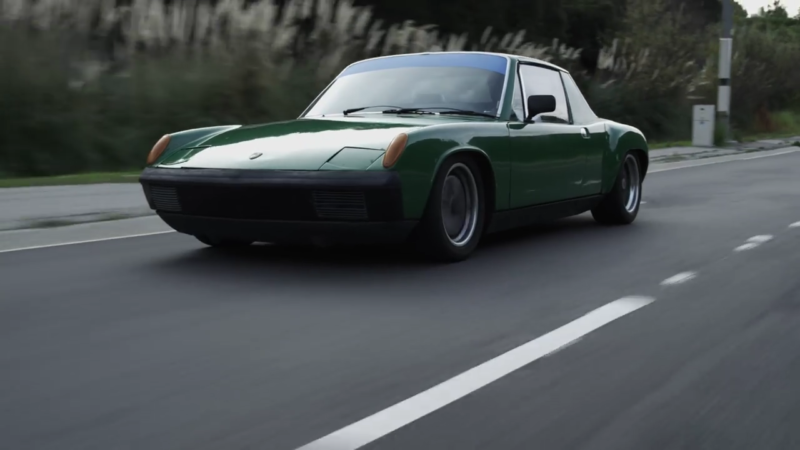 As Tyler steps into his strikingly green 914, he immediately launches into its storied history as the enthusiasm flows out by the bucketful. More than mere sentimental attachment, the allure of this gorgeous car comes from its classic configuration. 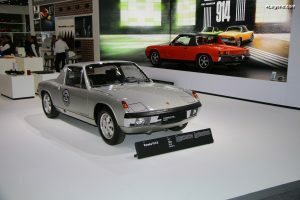 « 914s have always been one of my favorite cars, specifically because [of] its mid-engined, air-cooled, horizontally-opposed motor, » he elaborates. The mixture of loud, obnoxious pops and classy green paint scheme make it a head-turner. Its shortened gears, athletic stance, and flared fenders from its racing past make it a genuine canyon carver. It’s much more than eye candy; it’s part of an infatuation that’s gripped him since the age of seven. Sleek lines, great paint, and hints of a racing background give this car a striking appearance. « Your senses are dedicated to driving, and not thinking about stuff that’s in the past [or] stuff that’s in the past; it’s just all right now, » he remarks. If his ever-present smirk or the way his car makes him wax poetic don’t convey that boyish sort of obsession that grips any autophile from an early age, nothing does. « The only way to really appreciate it is to drive it, » he remarks. 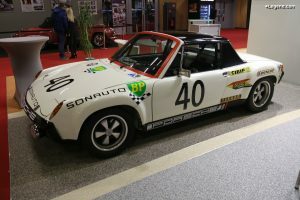 Porsche 916 Brutus… Le proto en mode RSR !